Grizz Brickbottom is one tough cowboy. But even the toughest cowboys, those who floss their teeth with barbed wire as Grizz does, can use some companionship. So Grizz adopts a dog that will help out with the cattle rustling and the mountain lion chasing. But somehow Grizz ends up with a pretty, pampered poodle, not a fierce, brave canine. 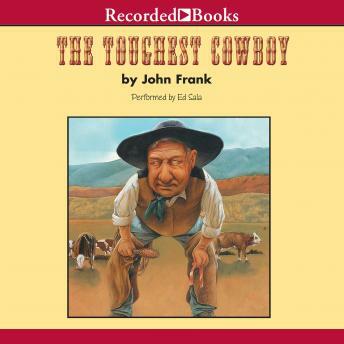 John Frank delights in this tale filled with vivid imagery and loveable cowboy characters, who end up getting tamed by a little poodle named Foofy. Narrator Ed Sala perfectly captures this delightful story of how the West got a little less wild.